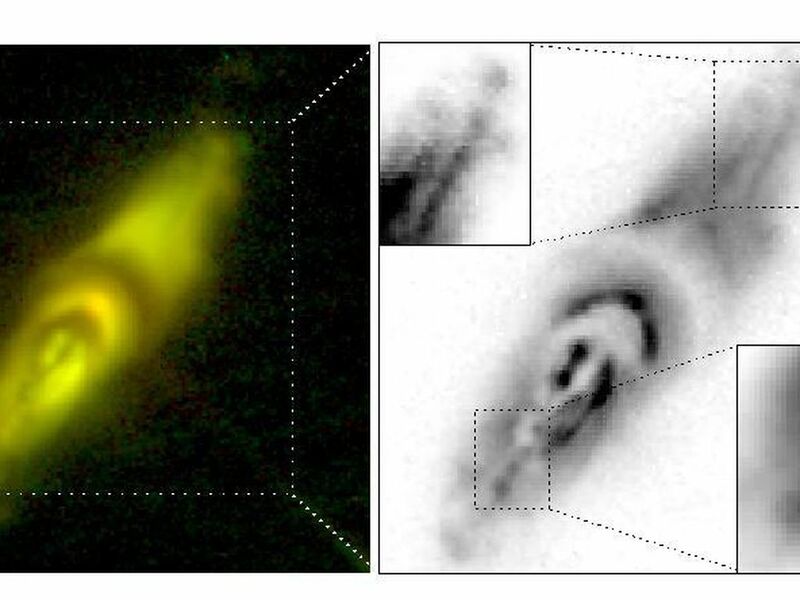 A recent [sic] image of a dying star containing strange, complex structures may help explain the death throes of stars and defy our current understanding of physics. 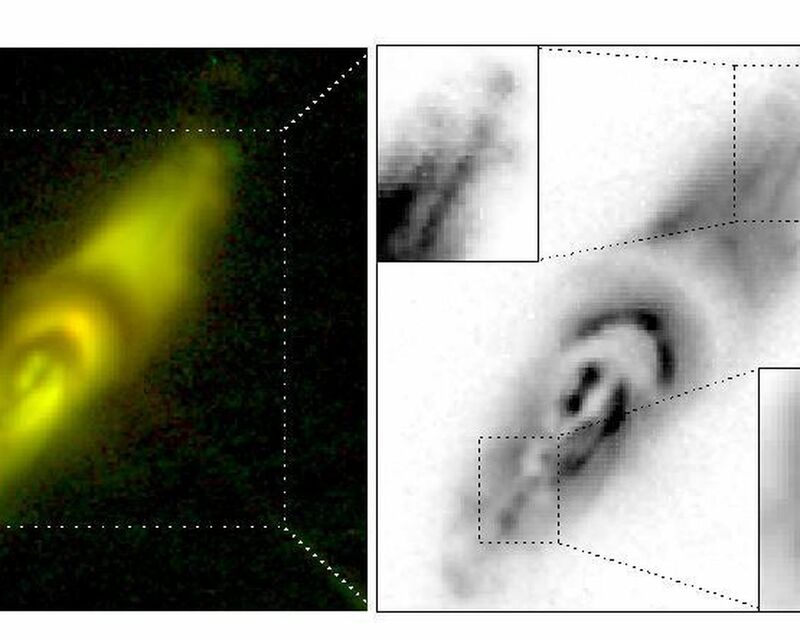 The image of protoplanetary nebula IRAS22036+5306 (in the Infrared Astronomical Satellite Point Source Catalog) was taken on Dec. 15, 2001, by the Wide Field and Planetary Camera 2, designed and built by NASA's Jet Propulsion Laboratory, onboard NASA's Hubble Space Telescope. It is one of the best images yet to capture a fleeting period at the end of a Sun-like star's life, called the protoplanetary nebula phase. This phase, which looks like a beautiful cloud of glowing gas lit up by ultraviolet light from the star's core, results when a star evolves into a bloated red giant and sheds its outer layers. "Protoplanetary nebulas are rare objects with short lifetimes," said JPL astrophysicist Dr. Raghvendra Sahai. "It has generally been very difficult to obtain images of such objects in which their structure can be resolved in detail." 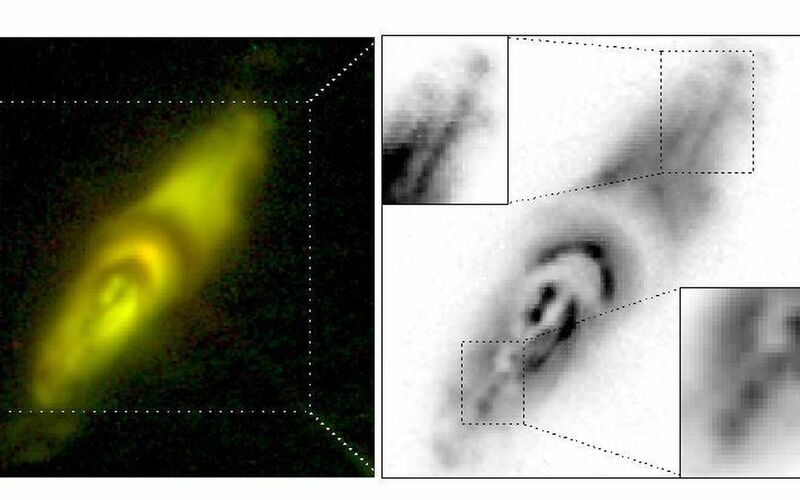 This image is particularly important because it contains a series of what Sahai and his colleagues call "knotty jets," blob-like objects emerging along roughly straight lines from the center of the cigar-shaped, bipolar nebula (See insets). There are various theories about what may produce such jets, though it is hard to prove their existence due to their short-lived, episodic nature. 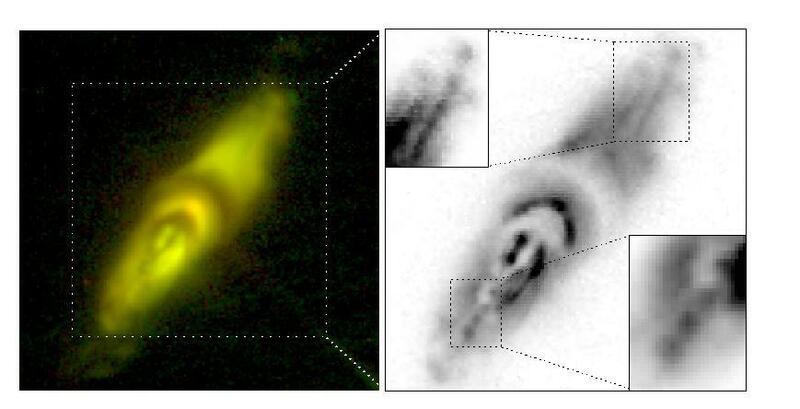 Detailed multi-wavelength studies of these nebulas with NASA's Great Observatories are being carried out to understand the nature and origin of these enigmatic jets, and how they may be sculpting shrouds of dying stars into exotic shapes. The Hubble Space Telescope is one of NASA's Great Observatories.